For any person suffering from carpal tunnel syndrome, it is very important to choose the best mouse for carpal tunnel to prevent pain. As you know, carpal tunnel syndrome is a medical condition that cause pain, numbness, tingling, pins and needles in your hands. Fortunately, with an ergonomic mouse you can get rid of these irritating symptoms. Since there are lots of mouse brands and models, it may seem hard to choose the right mouse. In this guide, we will help you to buy the best mouse for carpal tunnel syndrome. We have made a deep research in Reddit, Amazon, Google, popular social networks and forums to create this guide, so you should definitely read it. It may seem confusing to choose the best mouse for carpal tunnel. In this guide, you can see a list of details you need to consider when choosing the right mouse. We talk about ergonomy, right mouse size, right grip position, mouse specifications, prices and mouse pads. If you don’t want to read all of these, just pick a mouse from our list and read user reviews on Amazon.com to have an idea about it. My advice, read these short explanations to choose the best mouse for carpal tunnel syndrome. This is the most important thing when choosing a mouse for carpal tunnel syndrome. Traditional PC mice are not carpal-tunnel-friendly so you shouldn’t use them for long hours. Your new mouse should allow the hand to complete natural movements. It is very important to keep your wrist in a neutral position and your wrists should form a straight line with your forearms. So, you should choose a mouse that specially designed for this purpose. If a mouse lets you to use it with both hands, it is a plus too because you should rest your right and left hand periodically. For the best ergonomic mouse choice, you can check out our recommended products list. You heard the phrase “If it fits, I sits”, right? When choosing a mouse for carpal tunnel syndrome, right size is a must. You shouldn’t choose a big or small mouse for your hand. My advice is to read user reviews on Amazon product page and try to get an idea about that mouse, for your hand size. After that, you should maintain a right grip position. Your forearms should be parallel to floor and your elbows should bent at a 90-degree angle. Mice specially designed for carpal tunnel (pick one from the list) are really good at providing right grip position. Visit this link to learn more about carpal tunnel. Like any other product, there are tons of specifications and options to consider when choosing a carpal tunnel mouse. There are mice with extra features and extra buttons for carpal tunnel sufferers but of course it comes with extra price. In my opinion, your priority order should be like this: ergonomy, material quality and specifications. When it comes to gaming, you shouldn’t expect an awesome gaming performance from these mice. If you want to game on your PC, it is best to use a gamepad. Don’t forget, your wrist position is really important too. So, you can always spend your extra money for mouse pads and wrist supports. If you want to buy a mouse pad for carpal tunnel, you can click this link to check out ergonomic mouse pads. Here you can find the best mice options for carpal tunnel. This list is a result of countless hours of research on forums, social media, Reddit, Amazon.com and more. Logitech M570 is the most popular ergonomic mouse and there are reasons for that. It provides a different kind of comfort and control for carpal tunnel sufferers. Logitech M570 has a thumb-operated trackball and laser sensor for cursor control. You just roll the ball with your thumb and click. You can use it on your coffee table, chair, bed and anywhere you want. So it won’t leave your hand feeling cramped. If you use this mouse, you will definitely love how it feels comfortable and “high quality” in your hand. Anker 2.4G has a really ergonomic design to encourage healthy neutral “handshake” wrist and arm positions. It helps your movements to feel smoother and it reduces overall strain. Traditional mouse grip is one of the worst thing for a carpal tunnel sufferer. 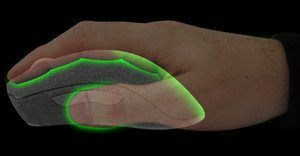 So, this mouse is designed to rest your thumb for maximum comfort and lesser pain. I personally liked its design but of course it could be better. For its price, Anker 2.4G is one of the best mice for carpal tunnel syndrome. Logitech Trackman Marble really looks like a “mouse”. It has ambidextrous design so it means you can use it with your either hands. It is designed to keep your hand comfortable and supported even you use it for long hours. Logitech Trackman has a large trackball to control the cursor with less movement. It has a stable base to reduce wrist fatigue which is really important for carpal tunnel sufferers. You can move the cursor quickly and smoothly without moving your hand or wrist. 3M Ergonomic Mouse has a really different design than its competitors. It looks like a “joystick” from 80’s and you use your thumb to left click or right click. This mouse has earned an ease-of-use commendation from the Arthritis Foundation. Its vertical grip design keeps your hand and wrist at a neutral angle and this is crucial for carpal tunnel sufferers. Unlike traditional mice, using 3M ergonomic mouse “protects” the carpal tunnel area from pressing against the desk. 3M ergonomic mouse has USB/PS2 plug and play compatibility and a 6.5 ft.cord for flexible use. Many of its users agree that it feels “high quality” and comfortable in your hand. You should know that this mouse is only for right-handed people.